Professor Duncan Charles Baker (PrEng, SciNat, Fellow IEEE, Fellow SAIEE, Hon Member Russian Popov Society) passed away on Saturday, 12 March 2016. 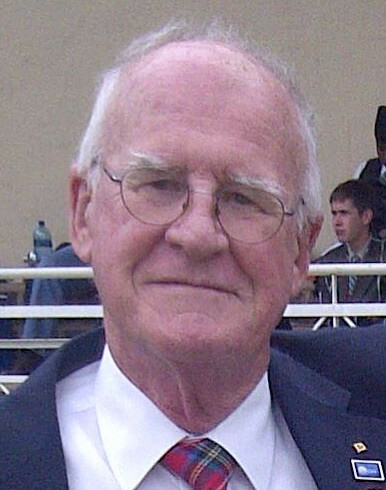 Duncan Baker was a well respected engineer, educator and professional volunteer. He was born in Scotland but was educated at Rhodes University, where he obtained an MSc in Physics. Between 1961-1963 he worked with the South African National Antarctic Expedition (SANAE) as an ionosphericist. He was on the maiden voyage of South Africa’s first Antarctic supply ship. He headed ionospheric research at the National Institute for Telecommunications Research (NITR) at the CSIR from 1969. In 1982 he moved to the University of Pretoria until his retirement in 2003. Instead of simply retiring, he continued serving South Africa as a City Councillor for the City of Tshwane Metropolitan Municipality Pretoria. Duncan Baker was appointed as a Fellow of the IEEE in 1998 for “leadership in engineering education in electromagnetic compatibility, computational electromagnetics, and ionospheric propagation, and contributions to ionospheric modeling” and later awarded a Life Fellowship. The South African Institute of Electrical Engineers (SAIEE) acknowledged his professional work in 1995 when he was elected as a Fellow of the SAIEE. He was chair of the IEEE South Africa Section in 1993 and held a number of positions through the years in the IEEE at various levels. He joined the SAIEE in 1980 and volunteered his time with them too. His recent efforts included his successful nomination of Elon Musk for the IEEE Honorary Membership, which was awarded last year. A great engineer and tireless volunteer, Professor Baker will be missed by all who had the honour of working with him. The funeral will take place on Friday 18 March at 10h30 at the Brooklyn Methodist Church, 209 Murray Street, Brooklyn, Pretoria.